Your WeddingWire Seating Chart makes creating your floor plan and seating your family and friends simple. 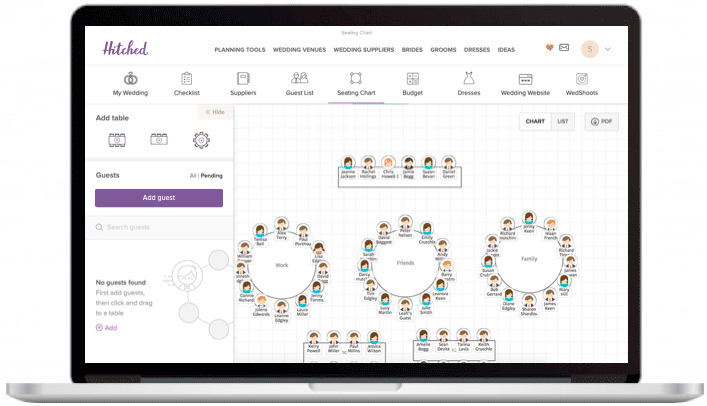 It's easy to decide who's sitting where by mapping out your custom floor plan and assigning your guests seats with your WeddingWire Seating Chart. Add tables, a dance floor, DJ booth and anything else to visually mimic your event layout. 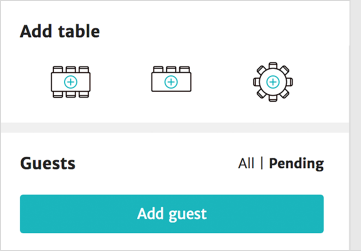 Your WeddingWire Seating Chart automatically syncs with your Guest List so all you have to do is drag and drop guests into their seats! 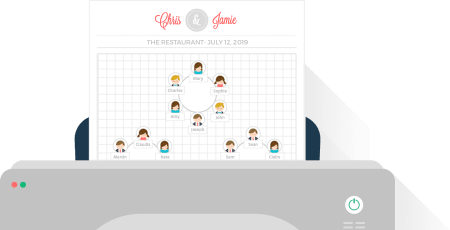 Easily print, email or export your WeddingWire Seating Chart in a visual or list format to give to your partner, planner or venue.